[61% OFF] 2019 Jungle Leaf High Cut Bikini In VENOM GREEN | ZAFUL ..
Love tropical? Take jungle! 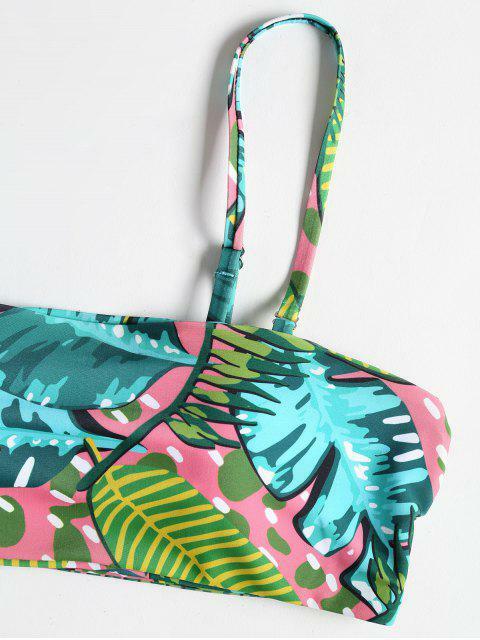 Featuring jungle leaves all over to meet your demands for tropical vibe, this bikini set is a great bathing suit to show off your curves on the beach. The slender shoulder straps are removable that you can wear it as a trendy bandeau style. Matching with a pair of high cut briefs to elongate the legs.